Crowdfunding platforms raised $2.7 billion in 2012 and funded over a million campaigns with predictions of an 81% increase in future crowdfunding volumes. 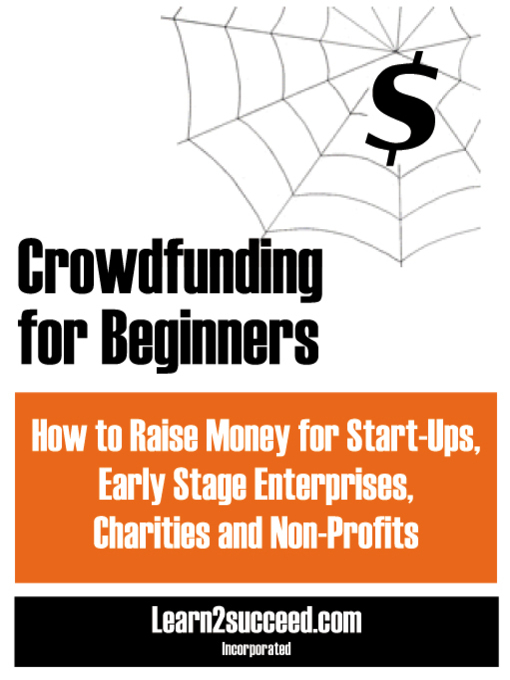 In this book, I'll put crowdfunding into the context of the socially connected world of the Internet. I will lead you through some of the preparations you will need to make before approaching the equity crowdfunding market and then I'll lead you through some of the issues which you are likely to encounter. I will then show you the state of play for equity crowdfunding in the United States and Canada, together with some of the regulatory hurdles you will face. Debt-based crowdfunding is already very popular at a personal level but is also gaining traction amongst the business community. I'll cover reward-based fundraising for books, theatre productions, etc. Crowdfunders, for these causes, may be satisfied with small rewards when those artistic endeavours come to fruition. Then, I will show you the stars of the crowdfunding show: those who raise money for charities and non-profits. They face less of a challenge because donors are not concerned about making a return on investment but rather that their money is being put to good use. If you remove the "money making" motive, you will remove many of the complexities! Fasten your seatbelts and I'll take you on a roller-coaster ride through the crowdfunding ecosystem. You'll find it entertaining and informative!